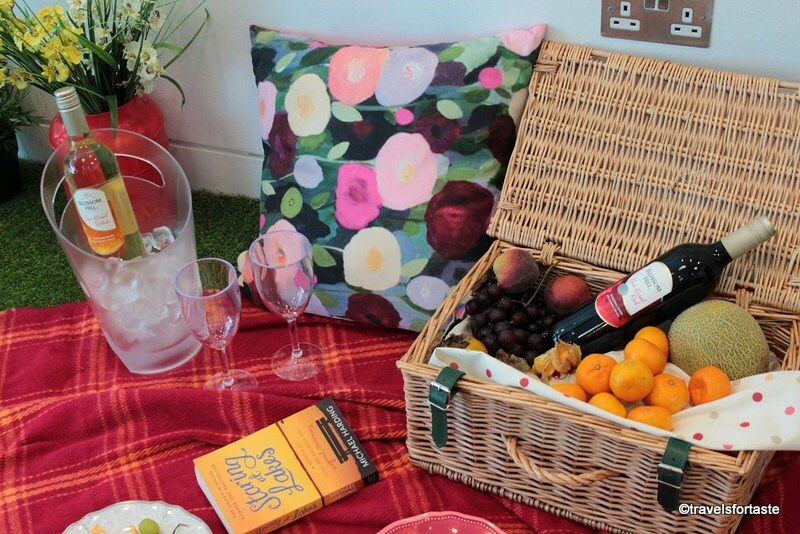 Blossom Hills new Sun Kissed Red and White wines – a great way to enjoy fruity wines in the Summer! Hope all you folks are making the most of the sunny climate! 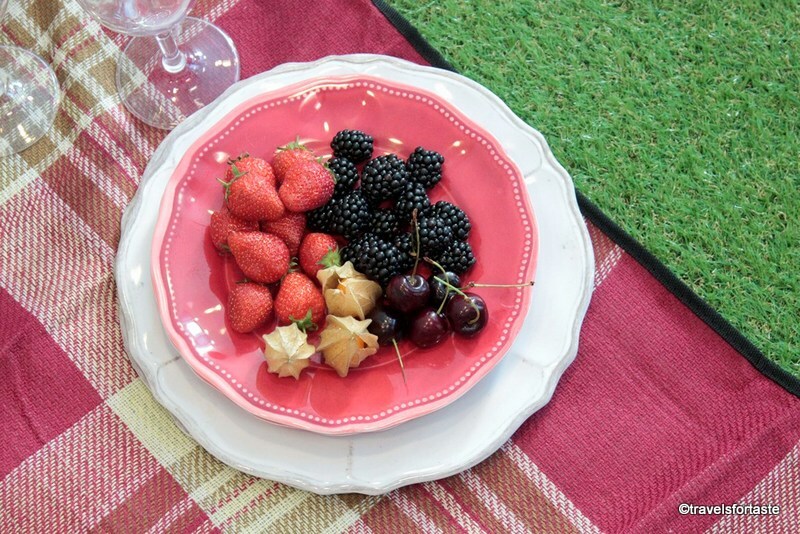 Bbq’s ,picnics and loads of great days out with the family! 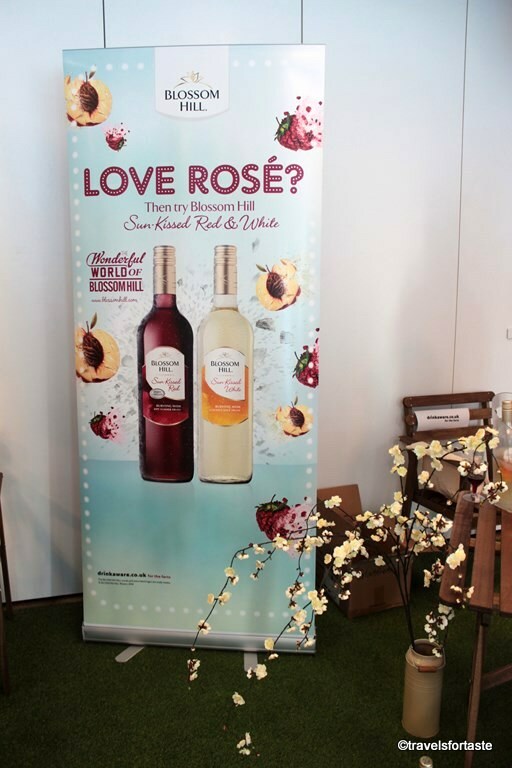 Am sure most of you have enjoyed drinking Blossom Hills wines , I certainly have and am now a great fan of the fruitier newly launched summer ready wines called the new Blossom Hill Sun Kissed Red and White wines. 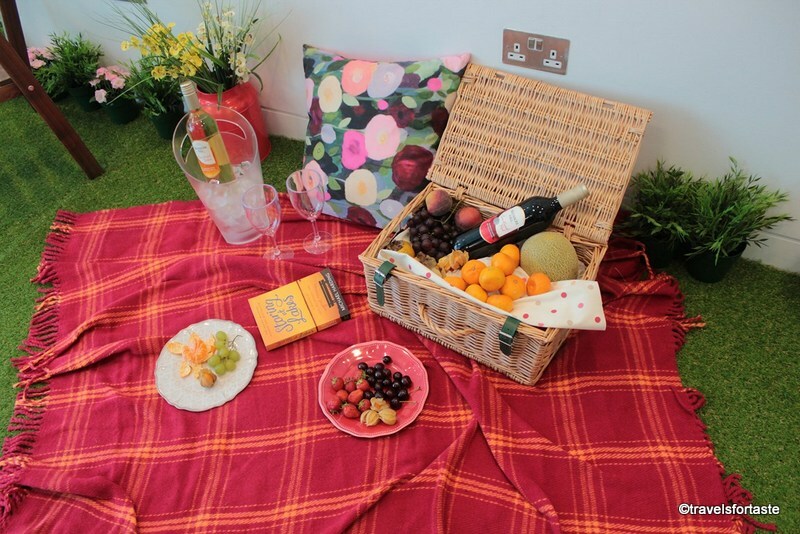 When I was invited to a blogger launch party I walked into a pretty room all done up like a fab picnic in the park , a faux green grass carpet included ! One sip of the chilled fruity red wine and I was sold! 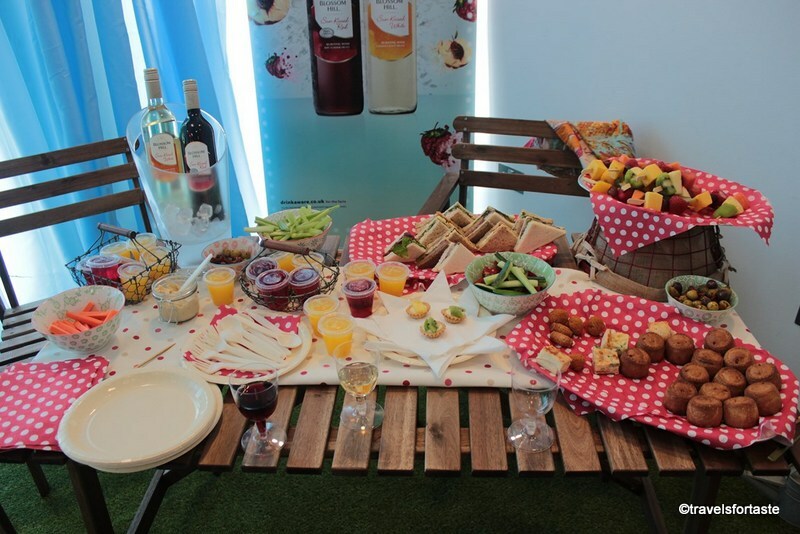 It makes drinking red wine for those just starting out especially so much easier because these wines are much lighter ,sweeter and taste great with all the usual summer party essential and will go well with barbecued meats and grilled veggies as well. I also think because the red is so light on the system it makes it way easier if you enjoy say one glass of red every evening while catching up say Midsomer Murders on the telly …my way of unwinding after a long day!Traditional Rose wines enthusiasts in particular will enjoy this new red. A mixture of ripe summer fruits and strawberry flavours envelope your palate making the red wine a light and easy drink. Moving onto the white which I loved too, I am quite the white wine fan and this light white with luscious juicy fruits and peachy notes was so good ,it almost made me want to plonk onto the fake grass on one of those lovely picnic blankets and grab one of the books and enjoy the rest of the afternoon just sipping chilled wine and reading! These red and white summer wines are best enjoyed chilled , a great way to enjoy the long summer evenings.What I like most about lighter fruitier wines is that they are great to serve and gift to those that drink only occasionally and regular wine enthusiasts alike.Because they are not as heavy as traditional wines they are just perfect for the hot summer weather , in fact I’d say they are the new summer picnic basket essential! 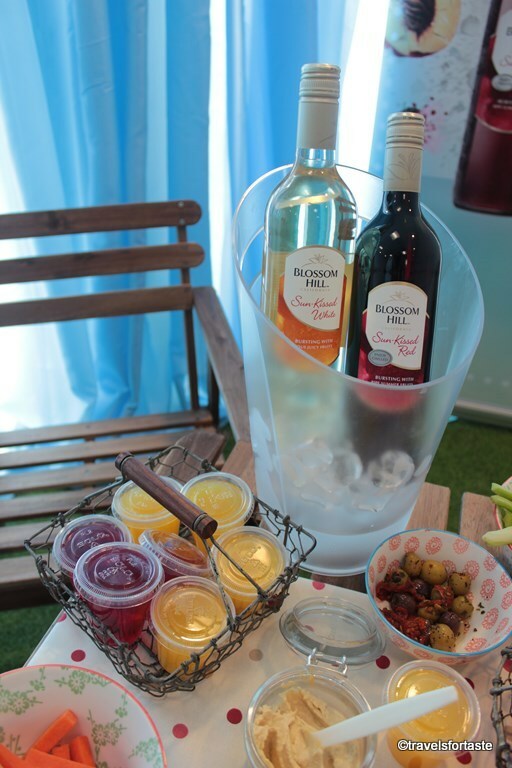 Blossom Hills Sun-Kissed Red and White wines are available nationwide in ASDA,Morrisons and Sainsburys. *Many thanks to Blossom Hill wines for the invite .